What Are the Causes of Right Jaw Pain? Home » Pain » Right Jaw Pain: What Causes It? Jaw pain is considered any type of pain located around the lower jaw, surrounding tissue, or temporomandibular joint (TMJ). The temporomandibular joint is what connects the jaw to the skull, and it’s one of the most used joints in the body. As a result, it can be quite susceptible to strains. Right jaw pain (1) may also indicate tissue damage in the jawbone, and it can radiate outwards, creating pain in your neck, shoulder, or teeth. What Causes Right Jaw Pain? Medical problems that surround the structure of the head and neck are thought to cause your sudden right jaw pain. It’s important to consult with your doctor to rule out any serious jaw pain causes. 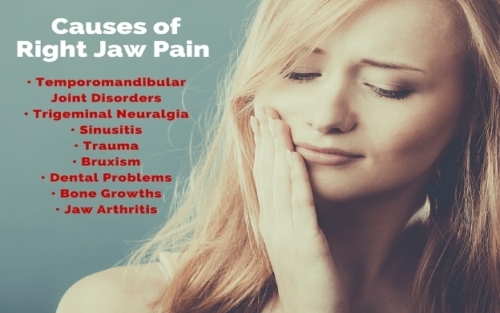 The following are potential causes of right jaw pain that you should keep in mind. Temporomandibular joint disorders are a common cause of right jaw pain. There are several factors that influence TMJ irritation. For instance, right jaw pain when chewing gum is a common cause of TMJ disorders, including TMJ syndrome. Other causes include frequent grinding or clenching of the teeth, a blow to the jawbone, poor orthodontic work, and structural misalignment of the teeth or jaw. Magnesium and calcium deficiencies can also worsen TMJ syndrome. Also known as tic douloureux, trigeminal neuralgia, is a chronic pain disorder that affects the trigeminal nerve and causes pain in the face, or left or right jaw. The pain is often restricted to one side, but sometimes appears on both. Trigeminal neuralgia pain can be triggered from something as simple putting on makeup or brushing your teeth. The pain will last for days or months, and then will disappear for months and years at a time before returning. Sinusitis is a sinus cavity infection due to bacteria, viruses, or fungi. Food or environmental allergens, a dental infection, a respiratory infection such as the common cold, and Candida can also trigger sinusitis. When sinuses are swollen, they can cause jaw and face pain. Other sinusitis symptoms include fatigue, toothache, fever, clogged nasal passages, and a diminished sense of smell. An injury or trauma to one side of the face (as a result of, say, a car accident or a sports injury) may also cause pain around the jaw, potentially making it difficult to even open your mouth. Other symptoms may include teeth misalignment, tingling or numbness, bruising, bleeding, and swelling or tenderness around the jaw. Bruxism is a condition characterized by teeth grinding during the day, or jaw clenching when sleeping. People who grind or clench their teeth are more likely to have a sleep disorder such as sleep apnea or snoring. Bruxism is thought to lead to headaches, facial pain, jaw pain, earaches, and tooth pain. Insomnia, anxiety, and depression are also common in people who grind their teeth. What about right jaw pain and wisdom teeth? Dental problems are another main cause of jaw pain. For instance, cavity surgery, broken teeth, fillings, or getting a tooth pulled can cause jaw misalignment, which leads to jaw pain. Inflammatory periodontal diseases such as gingivitis and periodontitis can also cause jaw pain, as can a deep-rooted wisdom tooth on occasion. Bone or spur growths on your TMJ or jawbone can also cause right jaw pain when opening the mouth. A bone spur is an extra bone that forms on your normal bone. It’s usually smooth, but it can cause pain when it rubs against other bones or soft tissues such as tendons, ligaments, or nerves. Bone growths or spurs are common in older adults, especially when the jaw experiences a large amount wear and tear. The jaw is a common location for rheumatoid arthritis, infectious arthritis, or osteoarthritis. Jaw arthritis presents itself as difficulty in opening or moving the jaw, plus headaches, earaches, toothaches, and general jaw pain. Jaw arthritis is caused from repetitive use of the jaw, trauma, or aging. Pain may be experienced on both sides of the jaw, and it may become swollen. A variety of other conditions may cause right jaw pain, including tetanus, migraine headaches, parotid gland inflammation, cysts, abscesses, Lyme disease, phossy jaw, osteonecrosis in the jaw, osteomyelitis or actinomycosis, jaw tumors, or cancers of the head or neck. Right jaw pain and a heart attack can also go hand in hand; the symptoms of a heart attack include chest discomfort, shortness of breath, sweating, nausea, left or right jaw pain, and chest pain. Magnesium and calcium deficiencies are common in people with TMJ syndrome, so the addition of a calcium and magnesium supplement can relieve TMJ pain. Calcium works synergistically with magnesium to relax tight muscles and strengthen bones. 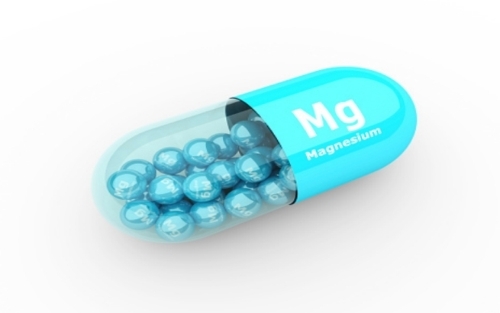 Magnesium in particular will relax the nervous system and the musculature around the jaw. Calcium and magnesium are also taken together to avoid heart problems. The kavalactones in kava are thought to help the nervous system and to relax tight muscles; this is particularly helpful for those with jaw pain. Studies also support kava for stress and anxiety. Note: never combine kava with alcohol or any psychiatric drug. 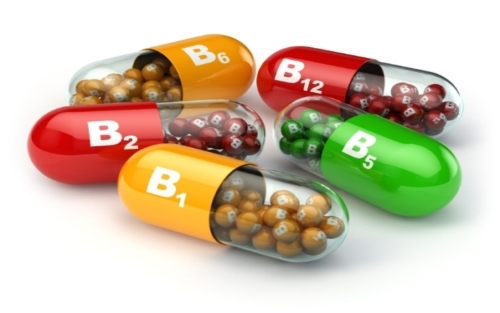 B vitamins are particularly useful for the nervous system and stress relief. Deficiencies in B vitamins will induce stress, which can cause TMJ pain, so it’s a good idea to take a vitamin B complex daily to reduce these effects. Homeopathic magnesia phosphorica is a good general remedy for tight muscles that spasm and then feel better from a warm compress. 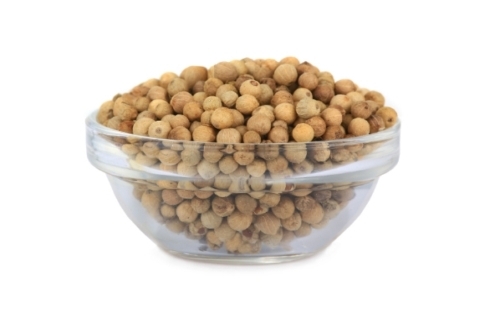 Kali phosphoricum can also reduce stress and nerve pain. Arnica is especially useful for TMJ pain when it occurs immediately after an injury. Other useful TMJ pain remedies include rhus toxicodendron, ignatia, and hypericum perforatum. Homeopathic remedies for jaw pain due to sinusitis or arthritis include belladonna, bryonia, kali bichromicum, and pulsatilla. Chiropractic care can help reduce tension and stress related with TMJ pain by bringing the bones into proper alignment. It’s best to consult a chiropractor, osteopath, or naturopath with experience in helping TMJ patients. These practitioners may use craniosacral therapy to align the facial and cranial bones, which lead to TMJ. Acupuncture point L14 may help treat TMJ pain and sinusitis. In a study published in the Journal of Dentistry in 2007, acupuncture was found to have a positive effect on TMJ syndrome symptoms (2). Acupuncture points known to treat TMJ pain and sinusitis include large intestine 4 (LI4). Other acupoints for TMJ pain include pericardium 6 (P6), lung 1 (Lu1), and gallbladder 20 (GB20). 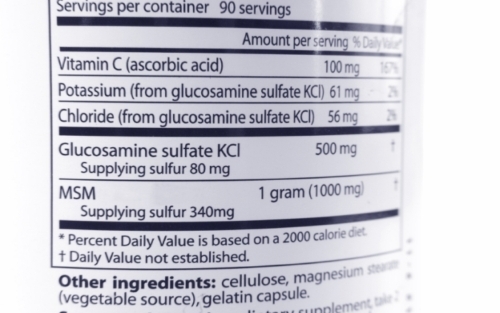 Methylsulfonylmethane is a natural anti-inflammatory that helps reduce muscle spasms and inflammation of the jaw. The recommended dosage is 1,000 milligrams three times per day. 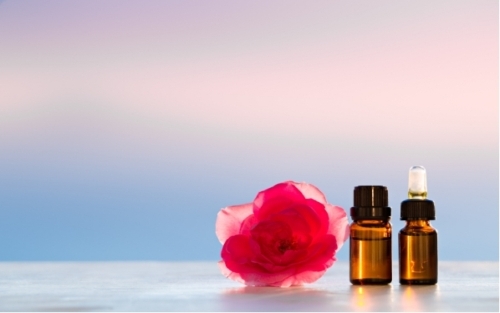 Essential oils have a relaxing effect on clenched muscles, and also relieve the pain associated with TMJ. The best essential oils that relieve jaw pain related with TMJ include frankincense, lavender, peppermint, rosemary, black pepper, marjoram, bergamot, rose, and jasmine. Glucosamine sulfate is responsible for building and repairing cartilage, and it also relieves pain, swelling, and stiffness in disorders associated with the jaw, including rheumatism, TMJ, and osteoarthritis. 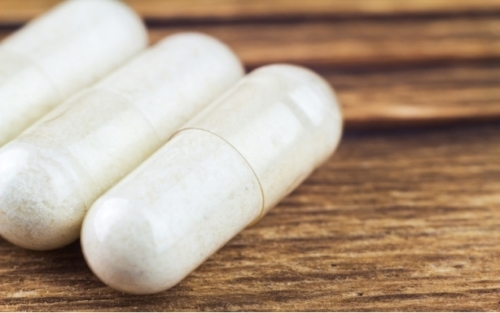 Good sources of glucosamine include spinach, parsley, and ginkgo biloba, and you can get it as a supplement. TMJ sufferers will also benefit from stress-reduction exercises and therapies such as biofeedback, which teaches the patient awareness of the bones and muscles in the jaw. People who suffer from high degrees of stress can also benefit from other stress-reduction techniques such as yoga, deep-breathing exercises, tai chi, qigong, or meditation. 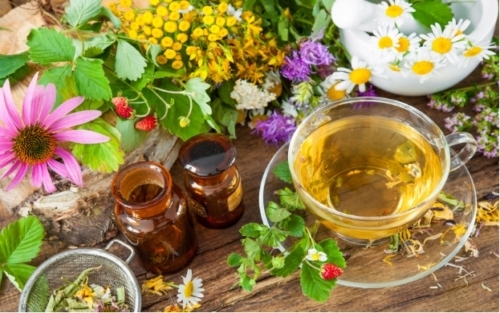 Other natural treatments (3) include Valeriana officinalis for TMJ syndrome, and bromelain, Echinacea, colloidal silver, N-acetylcysteine, oregano oil, and grapefruit seed extract for jaw pain caused by sinusitis. When arthritis is the issue, turmeric, boswellia, ginger, devil’s claw, fish oil, collagen, and S-adenosylmethionine are useful treatments. Poor sitting posture can contribute to jaw pain linked with TMJ. Improve your posture by taking short breaks—get up, walk around a bit, and stretch and relax your spine and jaw muscles. Clenching or grinding your teeth can be a hard habit to break. If you can’t break the habit, then opt for a bite guard from your dentist fitted specifically for your mouth to help prevent unconscious jaw damage or pain. Avoid foods that cause inflammation and muscle pain such as alcohol and caffeine, plus sugary foods such as chocolate, candy, or soda. It’s also wise not to chew anything tough, especially gum, caramel, bagels, or meat. Instead, consume foods that are easy to chew, such as steamed vegetables, smoothies, soups, and stews. Jaw exercises can help retrain your jaw posture. Every few minutes, pay attention and check whether your jaw is clenched. If it’s clenched, relax it, close your lips, and try moving your chin up and down for about a minute. After that, move it from side to side for another minute. Don’t stretch too hard, as you might hurt your neck. Dehydration will cause muscle cramps in the neck, mandibular joints, and shoulders, so stay hydrated by consuming a minimum of eight glasses of water each day. Avoid antibiotics or birth control pills if possible. They may decrease immunity and increase muscular strain, which will aggravate jaw pain.